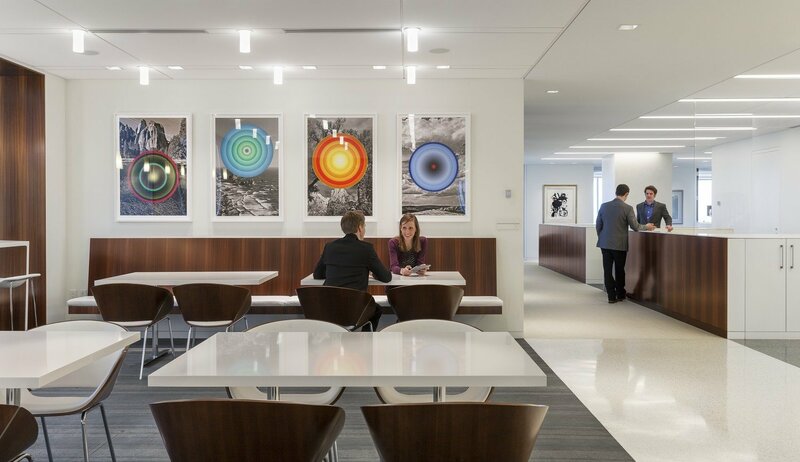 This 40,000-SF, three-floor office transforms the existing silo environment into an open and contemporary workplace that promotes cross-company communication. 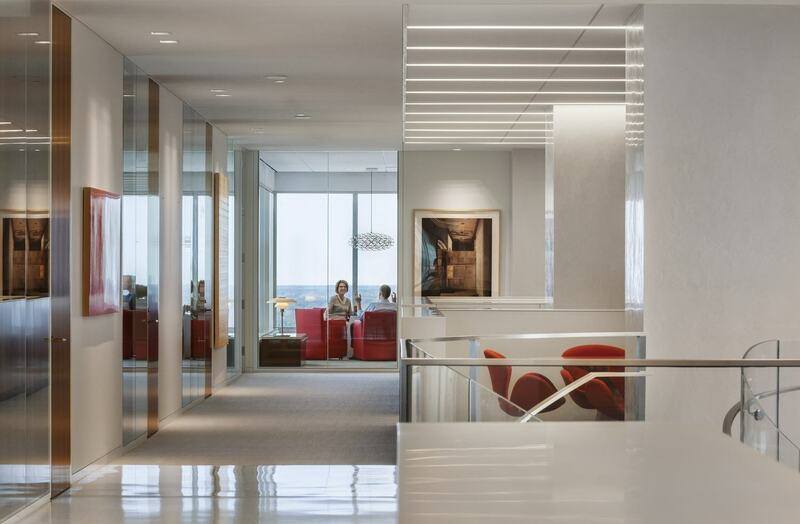 A full-floor racetrack circulation plan places open workstations toward the interior core and glass-walled private offices along the periphery. 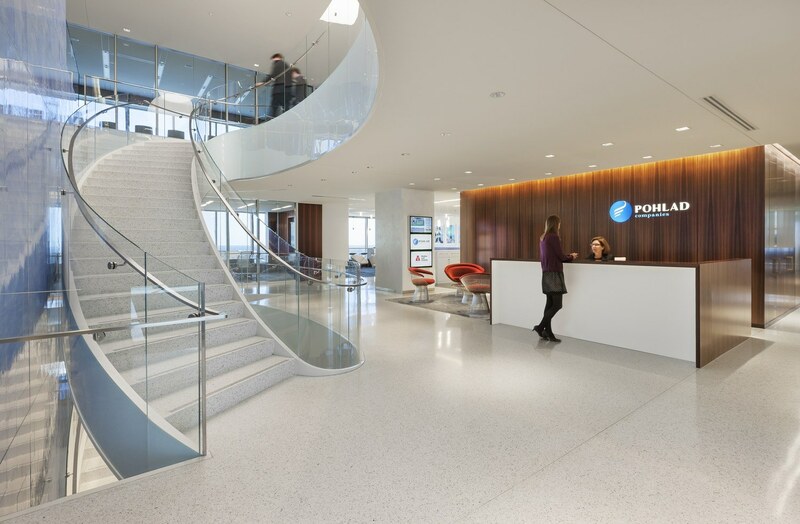 From every vantage point, team members have access to daylight, exterior views, and interior functions. 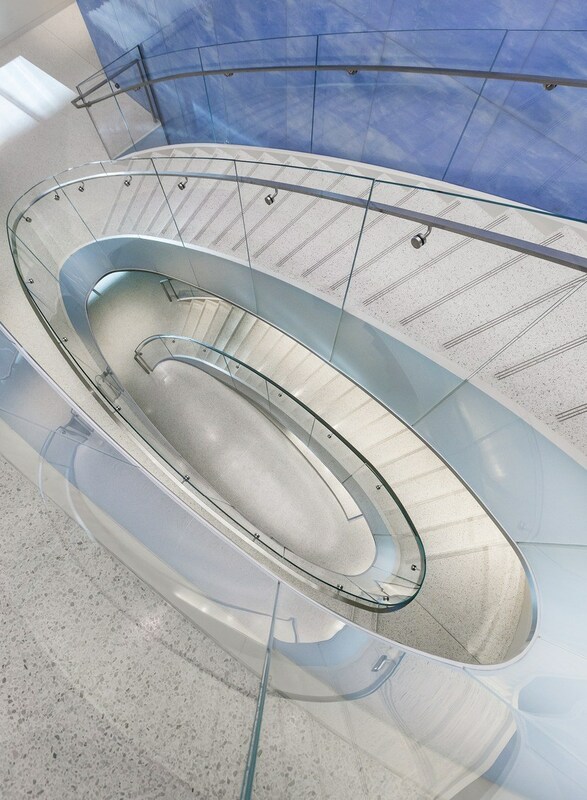 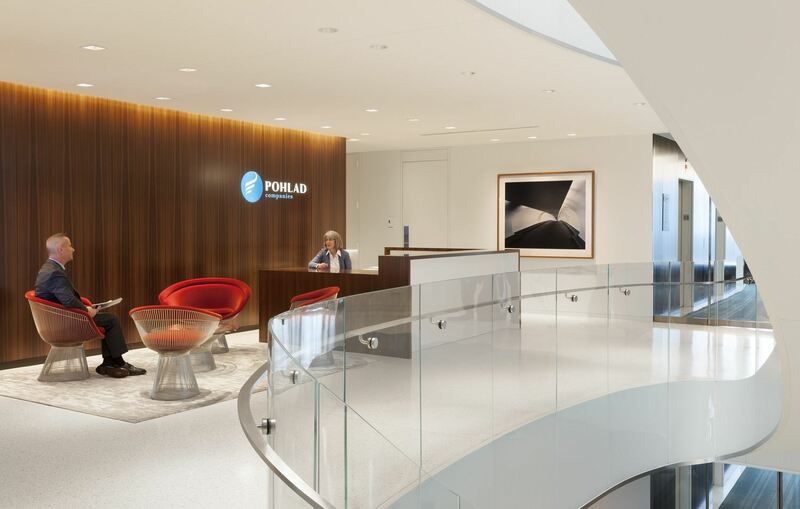 A centrally located elliptical staircase with blue art-glass wall and terrazzo steps connects the three floors, reinforcing the visual and physical connection between units. 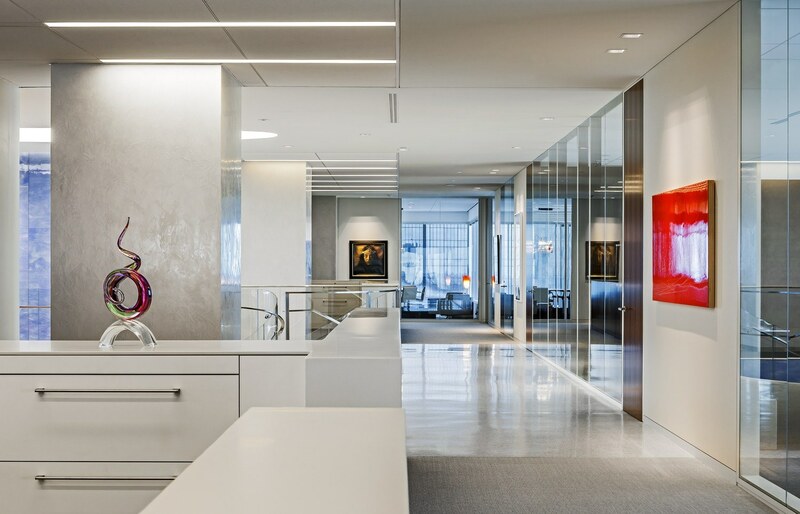 Interior finishes further maintain the contemporary aesthetic with white walls, terrazzo flooring in common spaces, Venetian plaster columns, larch veneer paneling and doors, classic mid-century-modern furnishings, and contemporary art pieces.